MSR helps victims injured in a car accident, slip and fall,or accident at work find New York personal injury clinics local to them. These NY board certified doctors help patients recover from chronic pain and serious injuries from an accident. Through the proper diagnosis, MSR refferred doctors offer pain management physical therapy, physiotherapy, traction, cold laser light therapy, nutrition and exercise. New patients can be seen on the same day! Most insurances are accepted including workers compensation insurance! Do you require an IME report? If you have recently been injured from a vehicle accident sports Injury, or workers comp injury you will need a doctor that specializes in neck pain and back pain. These are the two most common injuries in such personal injury accidents. 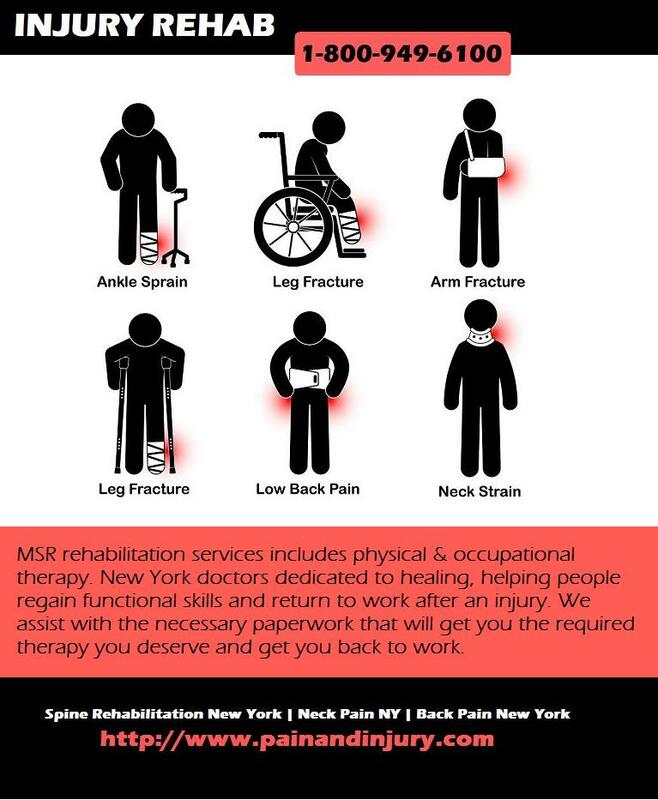 MSR can recommend a local New York doctor in your area that will schedule and immediate appointment! All the suggested physicians are board certified and experienced in treating personal injury patients. NY /NJ accident doctors, personal injury pain specialists dedicated to healing. Find a licensed, board-certified physiatrist near you right now.